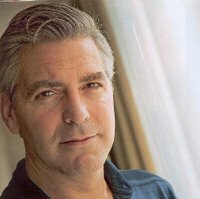 I love George Clooney, he seems like a truly genuine person with real ethics and political awareness. Plus, he has a great sense of humor. So I was sad to read that the past twelve months have been the worst year of his life. Planetary cycles can have a huge impact on us, so I thought I’d look into George’s chart and see what whether he was undergoing some evolutionary pressure from the planets. George’s Sun is in Taurus, the sign of earthly delights, stability, security. Taureans crave a peaceful and serene environment and typically do not like change, but because his Sun is conjunct Mercury (the messenger god and ruler of communication and information), there is a part of him that will also crave a variety of experiences. His Moon, representing our need for emotional security, is in Capricorn and it is conjunct Saturn, the planet that rules Capricorn. This is what we astrologers call a “double whammy,” indicating that the Saturn/Capricorn principle of hard work and solitude is fused with his emotional needs. Saturn/Moon people need lots of alone time–often in their childhood they can be extremely lonely and unable to connect, and in later years this becomes a need for solitude in order to refresh one’s sense of safety. Chiron is a recently discovered planet or planetoid that shows where we have been imprinted with a deep wound that doesn’t heal, but which motivates us to change and evolve. George has Chiron right on the ascendant or rising sign, and it is opposite Pluto, the god of endings and transformation, which falls in his sixth house of health and is conjunct the descendant. These are powerful influences for George which have a tendency to create repeated periods of crises that force change and evolution. They have been impacted by the transit of Uranus (the awakener, the revolutionary), challenging his sense of himself as an individual and in relationships (ascendant), and sparking this crisis period. It is not uncommon for death to occur during transits of or to Pluto, and during this period George saw the loss of his dog and his brother-in-law, along with the ending of a five-year relationship. Transiting Chiron as it moves through the sky has also made a challenging aspect to the Saturn/Moon conjunction in George’s birthchart. During this period George suffered severe spinal injury (Saturn) while filming Syriana and as the result was in great pain for months. The expression “That which doesn’t kill me makes me stronger” was probably invented by an astrologer. Difficult planetary cycles can be painful, but the end result for the individual can be a powerful deepening of our understanding and a renewed respect for life. Still, it looks like George’s worst year is over for now: the transit of Saturn to Jupiter over the past six months will be coming to a head until May which usually brings success to our endeavors. Fortunate Jupiter will transit his Sun beginning in mid-January, bringing opportunities and good luck to him. Jupiter and Uranus began a cycle with Neptune last year that continues throughout 2006, increasing creativity (Jupiter/Neptune) and bringing new ideas (Uranus/Neptune) and possibly an increased sense of spirituality and one’s place in the world.